FIFA 16 is the latest installation of the popular video game with amazing authenticity, new stadiums, and new features that aligns more closely with what happens in real football stadiums and behind the scenes before and during each football season. This game will be released September 2015. Build your squad with your choice of one of five players for each position and earn amazing prizes for winning four matches in a row. Increase the customization of your team by transferring weaker players and using your transfer funds to get new players. Compete in pre-season invitational tournaments like the Asian Elite Cup, Champions’ Trophy and Invitational Cup. This gives your team a chance to build experience, improve the value and skills of each player, and develop winning tactics before the regular season starts. You also have a chance to train your team to improve player attributes with drills that could be used by real football teams. Increase the value of your players by training them regardless of whether they’re your star players or rookies that you intend to trade off for transfer funds. Improvements to Career Mode include the ability to sign up free agents even outside the normal transfer window, better accessibility to scout reports, a more realistic transfer budget, changes to loans that include an extension of short loans from 3 to 6 months and the addition of 2-year loans, an unlimited and unspecified number of the substitutions during the friendly matches, more realistic transfers that align more closely to transfers that happen in real world, and improved transfer values that match the transfer market in the real world. Play in a wide variety of weather options, choose your kickoff time and enjoy new chants that have been recorded in real life stadiums during real games and sideline celebrations that more closely match what really happens in football stadiums everywhere. You can even show off for the camera after scoring a goal. While this is happening, commentators develop your season storyline with news and rumors about teams and players. Nine new stadiums have been added to FIFA 16, which expands the roster of stadiums to 50 licensed stadiums that closely match the real world stadiums found around the world and 28 generic stadiums. 12 Women’s teams have been added this year. Each player’s likeness has been recreated as authentically as possible with complete head scans of participating players and captures of the unique playing styles and movements of top players like Canada’s Christine Sinclair, USA’s Alex Morgan, and England’s Stephanie Houghton. Look for an exclusive interview with women’s football star Alex Morgan on the official FIFA 16 website. You can still pre-order FIFA 16! Get up to 40 FUT packs when you order before the release date of September 22, 2015 at 576.hu. The development team has pulled out all the stoppers to make this game as realistic as possible, including capturing realistic playing styles and facial animations for the new women’s teams and individual stars. 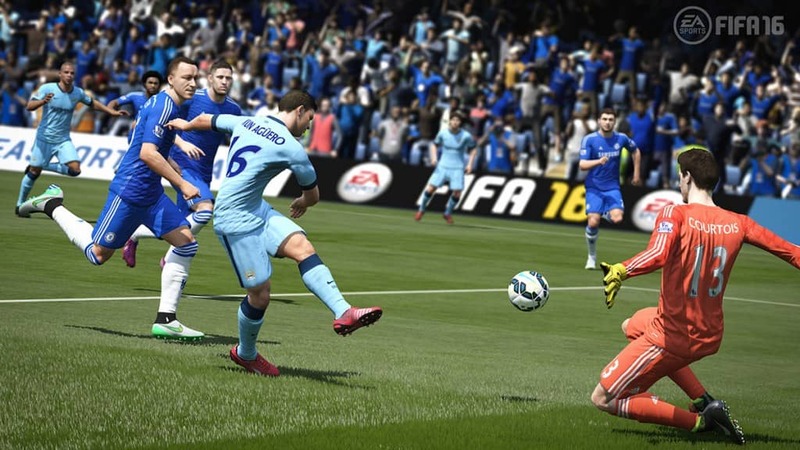 FIFA 16 may be the coolest, most authentic release of the FIFA game yet.